There is a wealth of evidence to suggest eating smaller portions throughout the day may have some healthful benefits. While simply consuming smaller portions may be particularly beneficial for people who are struggling with weight loss, eating smaller meals more frequently while still meeting recommended daily dietary recommendations can also help people maintain their weight, improve energy, and fight illness. 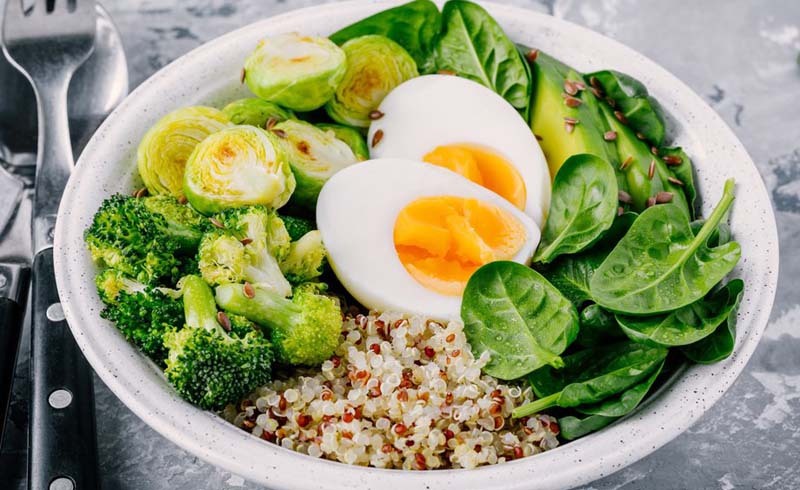 Julia Zumpano, a registered dietician at the Cleveland Clinic, says eating several small meals is more effective for weight loss than eating three regular meals. Eating smaller portions is one way to ensure you eat fewer calories and less sugar and fat per sitting, especially if you eat smaller amounts of fatty and sugary foods.This method will not only help you stay full longer and decrease the chances of overeating, it will also encourage you to focus more on what you're eating. Spreading your calories out over the day by nibbling here and there rather than scarfing large amounts of food in one sitting also helps stimulate the metabolism, according to a study published in the "New England Journal of Medicine" in 1989. Avoiding big meals also ensures you won't be so full you're tempted to skip a meal later, which can seriously derail weight-loss goals. Research released by a London-based human resource group in 2008 found consuming smaller meals at regular intervals boosted people's energy and productivity. Eating irregular meals can lead to problematic cycles of energy spikes and then crashes and periods of feeling depleted of energy. Having increased energy will also help you engage in physical activity, which is essential for good health. Smaller meals spread throughout the day can help fight certain debilitating illnesses. 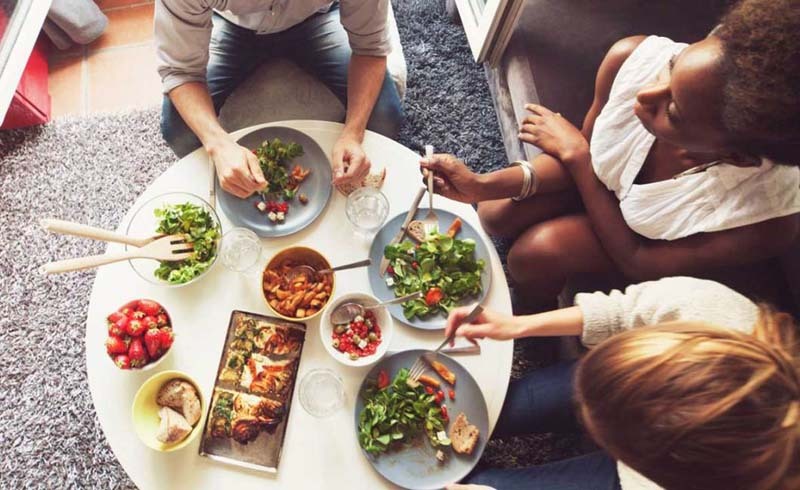 Eating smaller portions with greater frequency is linked to reduced cholesterol and increased control of diabetes, as it gives you better regulation of your blood glucose levels and prevents spikes, according to the American Diabetes Association. Be careful if you're on insulin, however. Check with your doctor first about making reductions in meal size. Eating smaller portions may not work for everyone. Health benefits won't necessarily develop just from eating smaller portions. The American Cancer Society recommends having more frequent meals of smaller portions, but boosting overall consumption of fruits and vegetables, which are filling and nutritious but low in calories. Zumpano recommends cutting your current meal size in half and adding other small, healthful meals throughout the day. Healthline suggests including a significant amount of carbohydrates, ideally the complex variety, to maximize fullness and energy. Seventy percent of your daily calories should come from carbs. Always eat breakfast too.